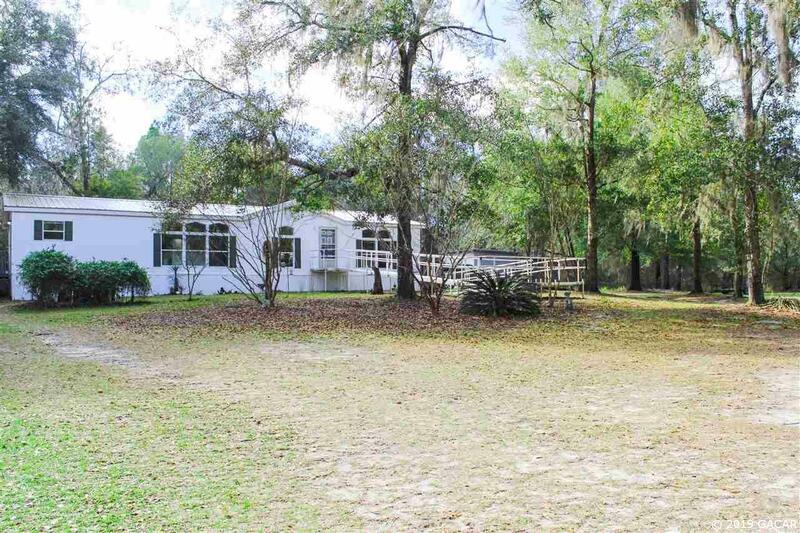 CONVENIENT COUNTRY LIVING-MOTIVATED SELLER BRING ALL OFFERS. 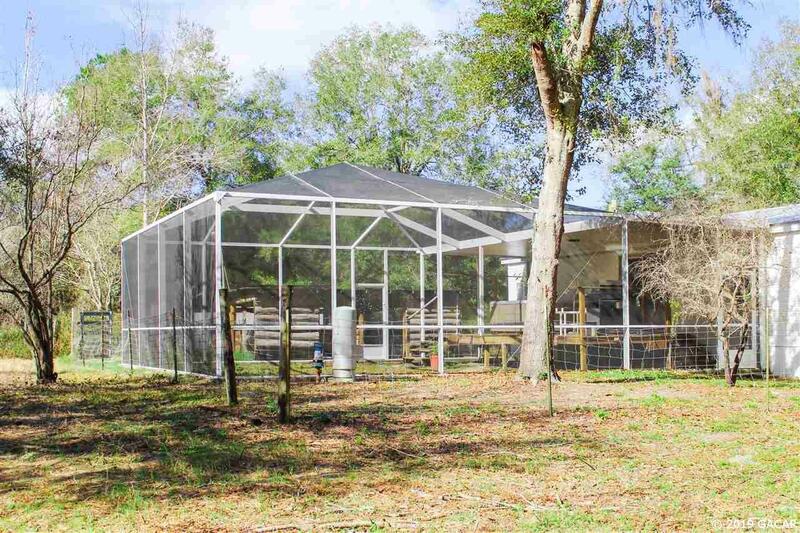 This 8+ acre Hobby Farm is at the end of a lovely paved road that is dotted with nice homes. You will be close to Newberry yet have the low Levy County taxes. 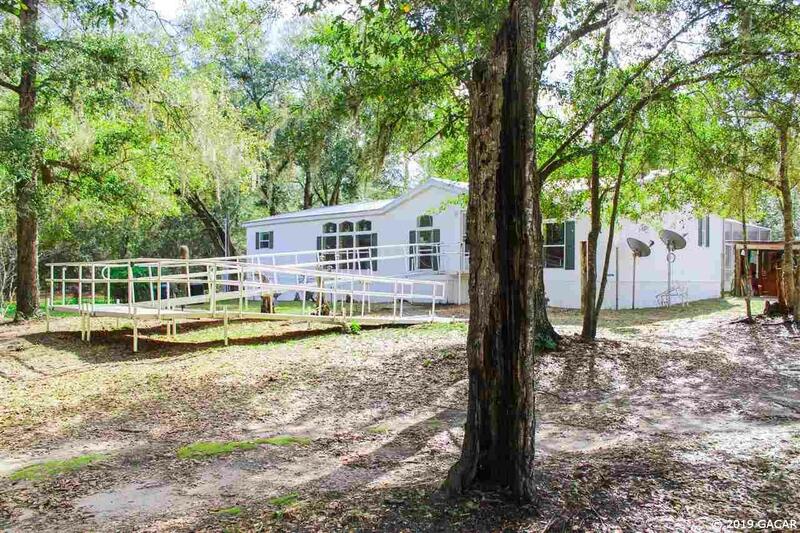 This nicely updated 3/2 Manufactured Home has a top of the line aluminum ramp at the front door. Easy access for everyone! The Entry opens to the Great Room, with the Farm House Kitchen on the left. 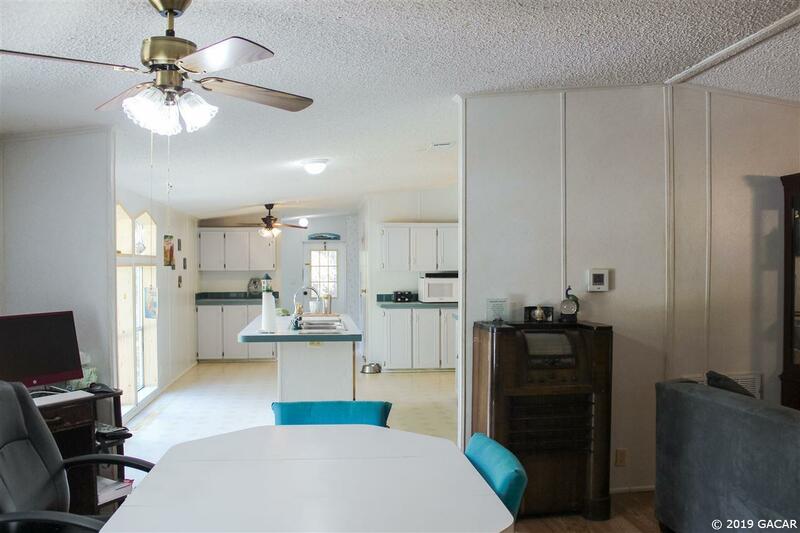 This Kitchen is HUGE, features a center island, coffee bar, microwave center, large pantry & large windows, providing natural light & lovely views. This home features a "split plan" for privacy. The Master has a large walk in closet & a spacious "En-suite" Bath with soaking tub, stall shower and double vanities. Entertaining is a breeze with the screened enclosure protecting the back deck and the 8 seat Jacuzzi Tub. There is room for a pool as well. Bring the horses & livestock as there are two barns and several paddocks. The area is perfect for recreation, miles of roads for trail-riding, 4 wheeling & both Watermelon & Station Ponds are nearby. ENJOY LIFE HERE!